With their best player, defending-Vezina Trophy winner Ryan Miller, on the sidelines due to injury, the Buffalo Sabres have come together as a group and continued their pursuit of an Eastern Conference playoff spot. The Sabres earned five out a possible six points in the past week, with tough match-ups against the red-hot Capitals, the surging Hurricanes and the playoff-bound Lightning. The overtime loss against the Capitals on the road can almost be considered a win for the club, given how desperate they are for points. The Sabres followed that game up with two impressive efforts in must-win games, with Carolina and Toronto nipping at their heels in the standings. Behind a spectacular 35-save effort by back-up Jhonas Enroth, and the overtime winner coming on the first NHL goal by defenceman Marc-Andre Gragnani, Buffalo earned a much-needed edge over the ninth-place Hurricanes. Thomas Vanek and Tim Connolly played the heroes in the win against Tampa Bay, with Vanek scoring a hat-trick and Connolly notching three points of his own with the game-winning goal and a pair of assists. With hands that have done more fighting in the NHL than goal-scoring, San Jose's Ben Eager could be considered a surprise pick for this edition of the Weekly Review. However, the goal that Eager scored last Thursday night against the Dallas Stars was as nice as any seen all year. San Jose's Jamal Mayers started the play on the left-wing, chasing down a loose puck in the neutral-zone, with Eager trailing him on the right wing to form a two-on-one break against the lone Dallas defenceman back. With a second Dallas defender storming back to catch up to Eager, Mayers threaded a pass over to his teammate as the defenceman caught up to him. Eager, with the defenceman now on his hip, deflected the pass between his own legs with his stick, and then kicked the puck back to his stick using his right skate. Eager then slid the puck by a sprawling Andrew Raycroft, giving the Sharks a 6-0 lead and one for the highlight reels. With a slumping Steven Stamkos having scored only one goal in his last eleven games, it had been considered almost a given that the league's best shot at 50-goal scorer would come up short this year. Enter Anaheim's Corey Perry, who is making a late-season surge towards the Hart Trophy as the league's Most Valuable Player, and will get plenty of consideration based on Wednesday night's game against the Sharks. The playoff hopes of the Ducks have been on life support for the entire season, and the game against San Jose was again a critical one in the Western Conference standings. In the team's biggest game of the season, Perry gave one of his best efforts, scoring three goals and adding an assist. The first goal extended Perry's point-scoring streak to ten games, during which he has an incredible 14 goals and 7 assists for 21 points. The second goal eventually turned out to be the game-winner, his 11th of the year, earning him a tie atop the NHL leaderboard in that category with Washington's Alex Ovechkin. And if it wasn't enough for one night, the third goal gave Perry 50 for the season, marking the first time he has achieved this much sought after benchmarkin his career. The team's captain, leader and best player ever since he arrived in Calgary, Jarome Iginla reached another amazing career milestone in the team's game last Friday night against the Blues. One of the league's hottest players in March, Iginla entered the contest against St. Louis with 997 career points and his team desperate for a win to help them in their playoff hunt. The Flames fell into a 2-0 hole following a David Backes goal late in the second period. Like he has so many times in the past, Iginla almost single-handedly brought the Flamesback into the game. Less than a minute after Backes scored, Iginla beat Jaroslav Halak for his 38th goal of the year and point #998. Eight minutes into the third period, Iginla set-up Alex Tanguay to tie the game, earning point #999. At the 14:57 mark, Iginla broke down the right wing on Halak, and just like he had done so many times before, beat Halak with a quick snap shot for the 1000th point of his career and the game-winner in a critical 3-2 Flames victory. 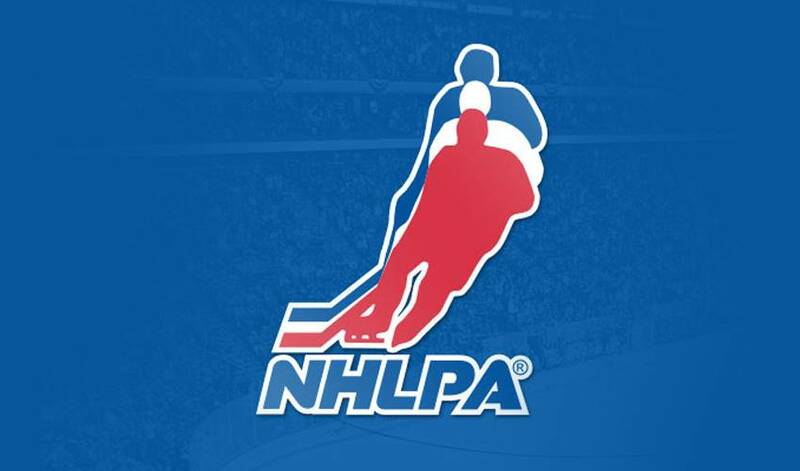 Congratulations Jarome, from NHLPA.com, on this fantastic accomplishment! - Philadelphia's Scott Hartnell, Chairman of the Beard for the 2011 NHLPA Beard-a-thon, talks about his role in the charity initiative that encourages donations for growing playoff beards. With donations taken at www.beardathon.ca, the raised money will go to help the Heart and Stroke Foundation put Automated External Defibrillators (AEDs) in Canadian arenas. Corey Perry has helped lead the Ducks to a hot start to the 2015 Stanley Cup Playoffs and is the NHLPA.com Player of the Week!